The following video shows you how to evaluate information. 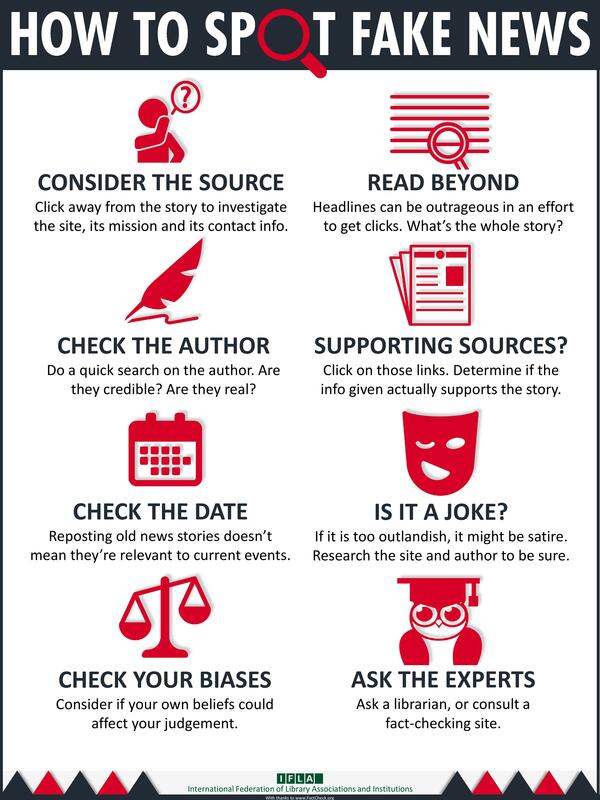 As you examine a source you think you may want to use, think about these questions to determine if and how that source may fit into your research. Can the factual information be easily verified? Are sources cited? Are they from reputable sources? Is the writing clear and well organized without typos, spelling, or grammatical errors? Is there a way to establish the legitimacy of the author or sponsor? Contact information, etc. Is the source affiliated with a larger, reputable organization? When was the piece first written or most recently updated? Is the time frame appropriate for the information needed? So, if you are speaking on the American Civil War women (civil war was 1861-1865), could you use a diary written by a woman in 1863? Is this a current source? Is there advertising or sponsorship? Is the information intended to inform or to persuade? What audience is the piece intended for?